Devil-Linux is a CD-based Linux distribution for firewalls and routers. The goal of Devil-Linux is to have a small, customizable and secure (what is secure on the Internet?) Linux. The future of Devil-Linux will go far beyond an ordinary router, we will provide a lot of other services, but the distribution will still be easy and fast to maintain. Rate this project The Q4OS team have published a new development snapshot of their Debian-based distribution. 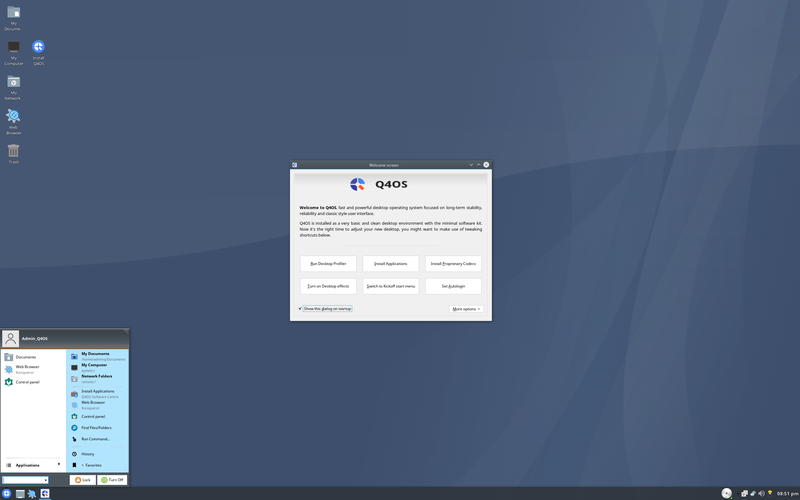 The new version, Q4OS 3.6 Testing, is available in KDE Plasma and Trinity desktop flavours which uses Debian "Buster" as its base. The release announcement reads: "An updated image of the Q4OS 3 Centaurus testing live media is available for download https://www.q4os.org/downloads2.html , now in version "3.6". It now features the most recent Trinity stable release 14.0.6. Apart from that, a few fixes and security patches has been included.... Q4OS Centaurus 3.6 is based on the current Debian 'Buster' development, Plasma 5.14, and Trinity desktop 14.0.6 stable branches. All the updates are immediately available for existing Q4OS Centaurus users from the regular Q4OS repositories. Keep in mind we don't recommend to use testing versions in production environments." Download (MD5) (pkglist): q4os-3.6-x64.r1.iso (916MB), q4os-3.6-x64-tde.r1.iso (678MB). Q4OS 2.6 has been released. Q4OS is Debian-based Linux distribution which ships with the Trinity desktop (a continuation of the KDE 3 desktop environment) or KDE Plasma 5.8.6 (a version found in Debian 9). This version is a routine update that brings the latest Trinity, version 14.0.5: "An update to the Q4OS 2 'Scorpion' stable LTS is available for download. The new 2.6 release is based on and upgrades to the latest stable versions of the Trinity 14.0.5 desktop and Debian 9.5 'Stretch' projects. Q4OS-specific fixes and patches are revised and provided as well. All the updates are immediately available for existing Q4OS users from the regular Q4OS repositories. Q4OS Scorpion LTS release (supported for 5 years) is based on Debian 9 Stretch and it features the Trinity 14.0.5 and KDE Plasma 5.8 LTS desktop environments. 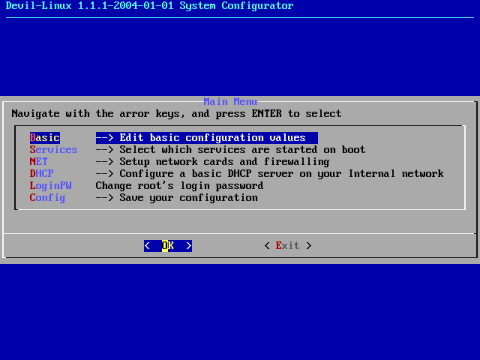 It's available for 64-bit and 32-bit (i686-pae) computers as well as i386 systems without PAE extension. ARM 64-bit (arm64) and 32-bit (armhf) ports are provided as well. Q4OS offers its own exclusive utilities and features, specifically the 'Desktop profiler' application for profiling your computer into different professional working tools...." Here is the brief release announcement. Download (MD5, pkglist): q4os-2.6-x64.r1.iso (572MB), q4os-2.6-x64-kde.r1.iso (815MB), q4os-2.6-i686pae.r1.iso (577MB).